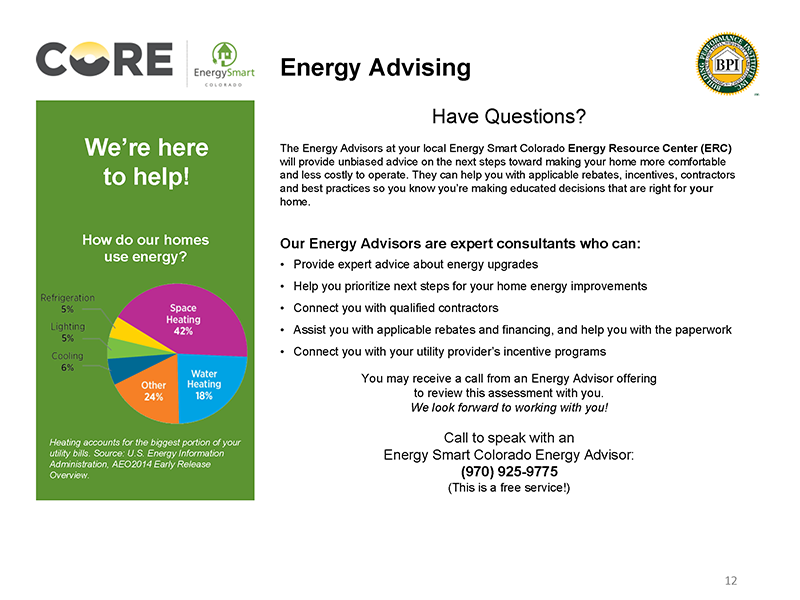 Why Sign Up for a Home Energy Assessment? Every home is different. 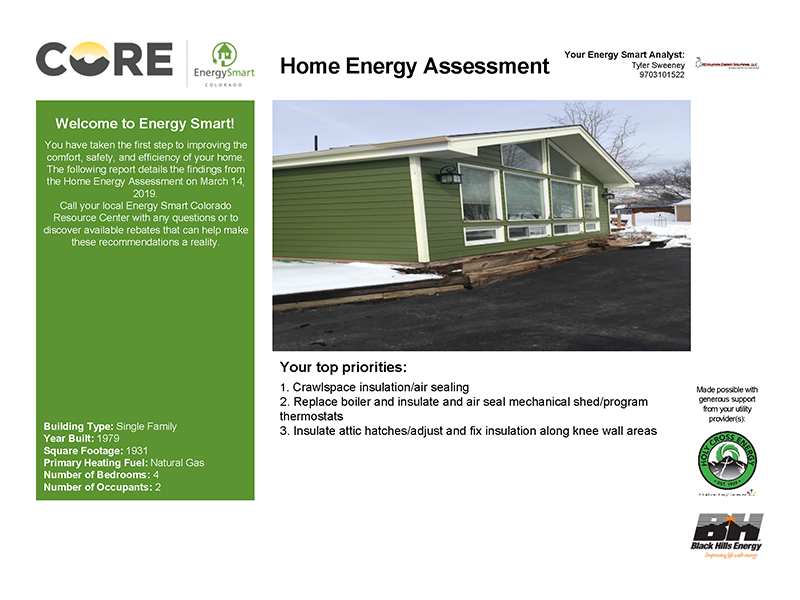 The Home Energy Assessment provides a comprehensive report outlining opportunities for energy improvements that are specific to your home. Make sure your family is safe. 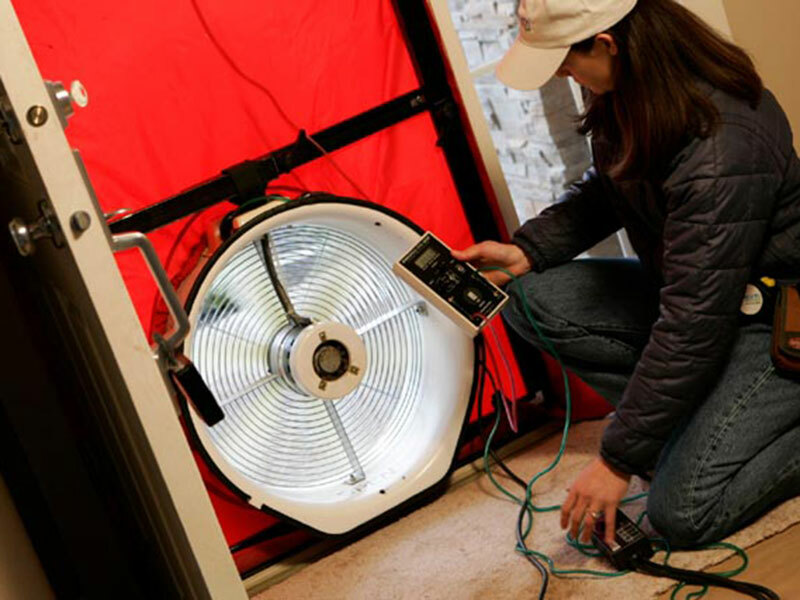 During the assessment, the analyst will complete safety testing to test the air quality of your home. 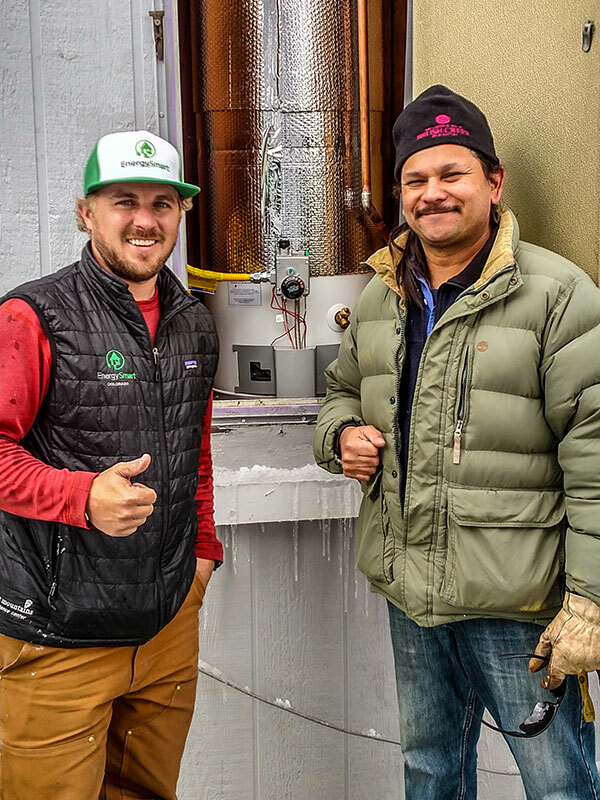 They will test for carbon monoxide and radon (depending on your location). 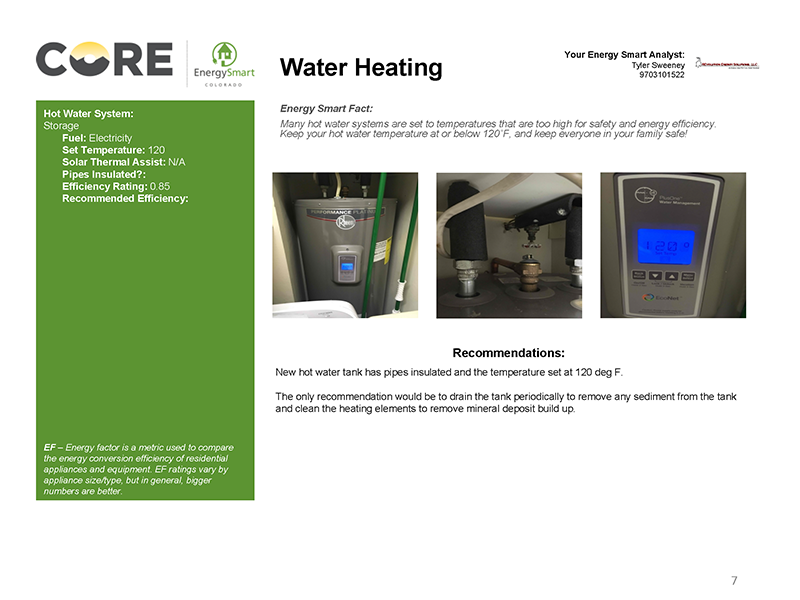 Your analyst may install “quick-fixes” like energy efficient lights, a programmable thermostat, bath or kitchen faucet aerators, low flow showerheads, pipe wrap, or a water heater blanket at no cost to you. 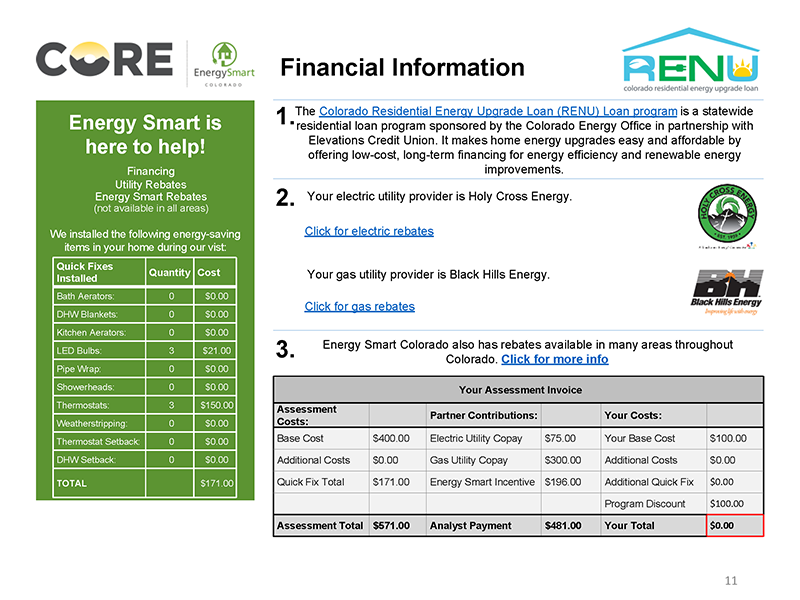 Many utility or community rebates require an assessment prior to accepting your application for rebate programs. Do your part for the environment! Buildings in the United States are responsible for almost 40 percent of U.S. carbon dioxide emissions. 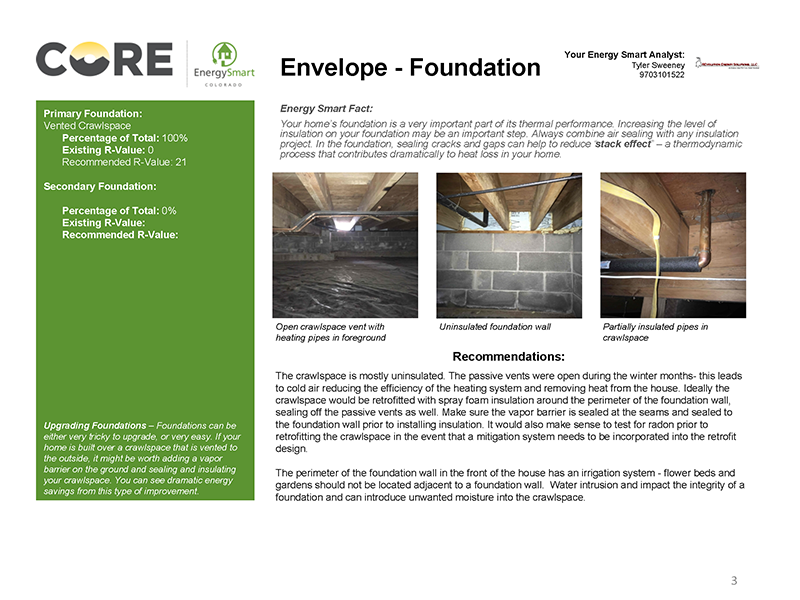 Your assessment report will provide information to improve the efficiency of your home, creating a more comfortable, affordable and efficient home. You are not required to be home for the entirety of the Assessment, but you are encouraged to be, as it is a great opportunity to learn about your home as a system. 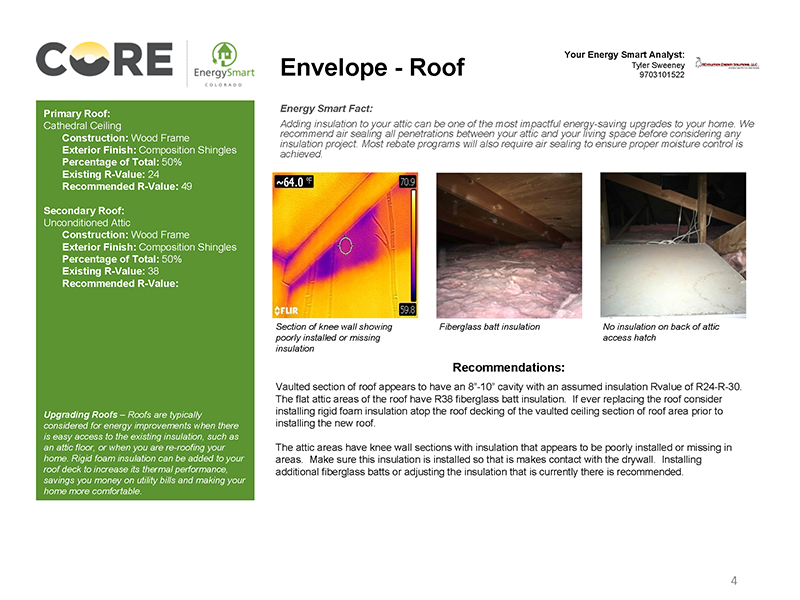 Depending on the heating source of your home and its square footage, your assessment should take two to four hours. 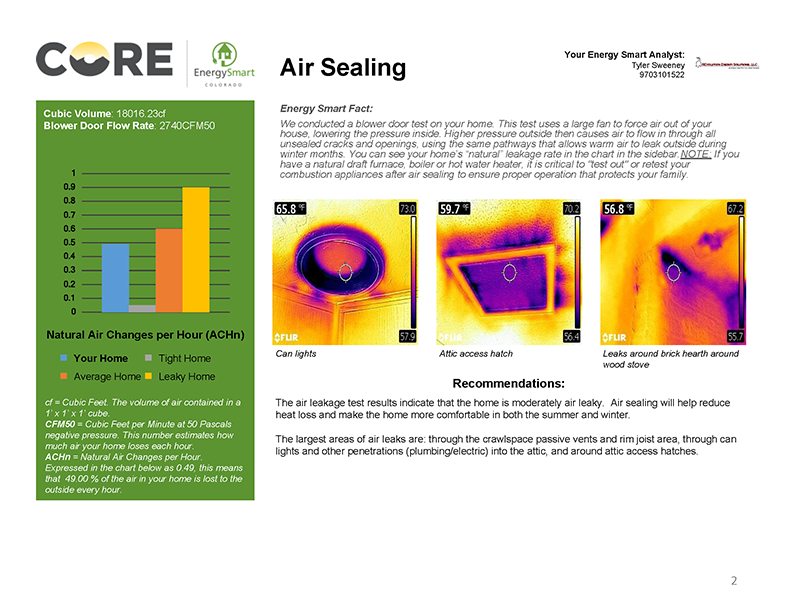 The Home Energy Assessment is typically valued at $300 to $400. 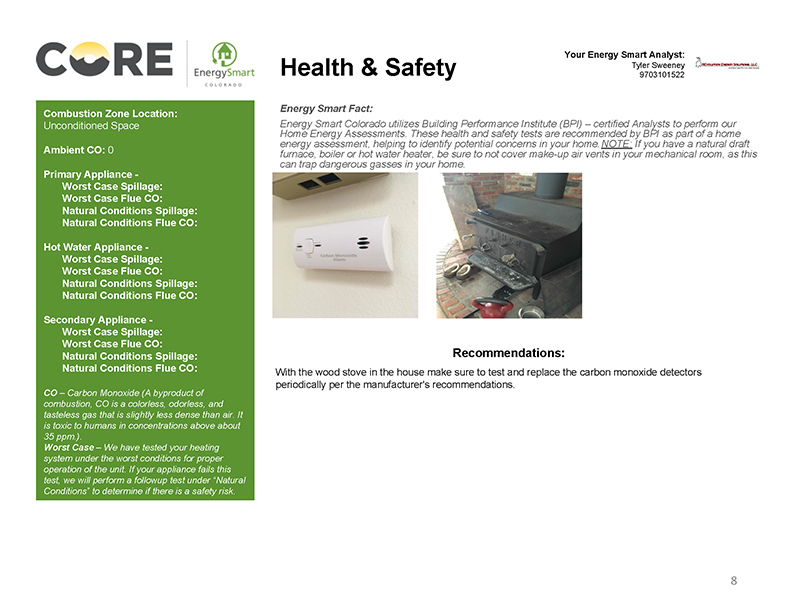 The cost of the Assessment varies depending on your location and utility provider. 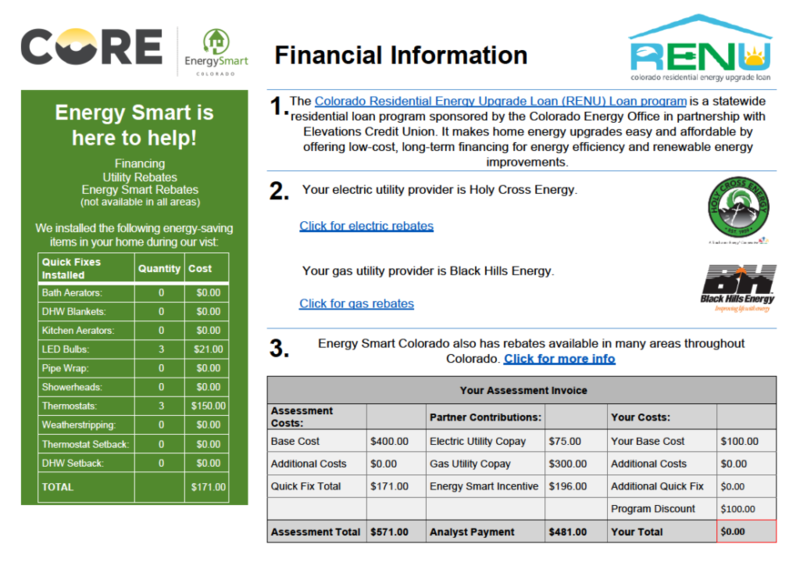 Your local Energy Smart Colorado office and/or utility partner may partially subsidize the cost, which often brings the cost down to less than $150. Homes above 2,500 or 3,000 square feet or mechanically complex homes may incur additional costs. 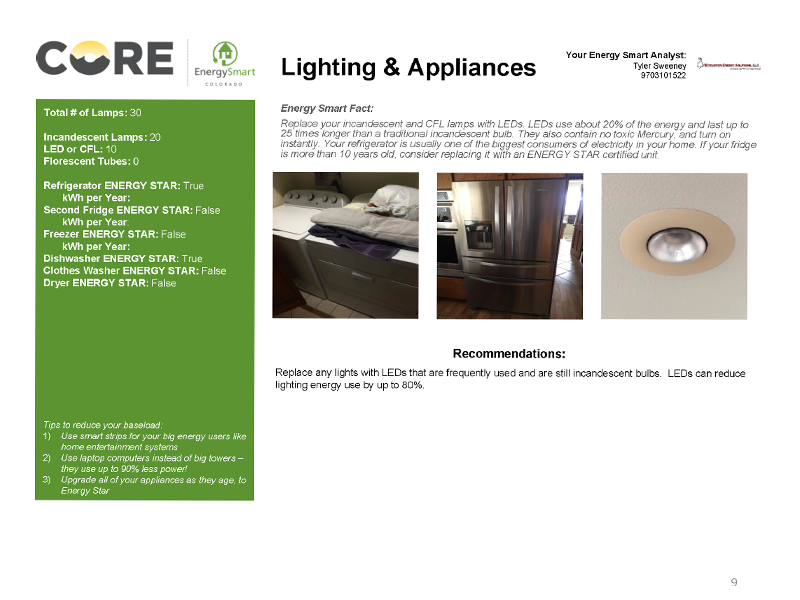 These costs tend to be assessed at 5 to 10 cents per square foot over 2,500 or 3,000 square feet. 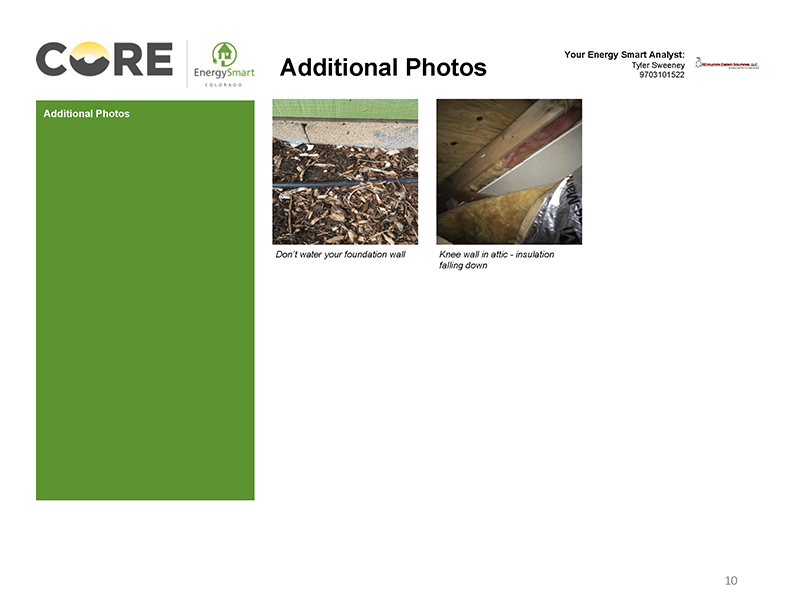 After your assessment, you will receive a detailed report that outlines the current condition of your home and a list of recommended improvements. You will receive your report via email, unless you request a copy be mailed to you. 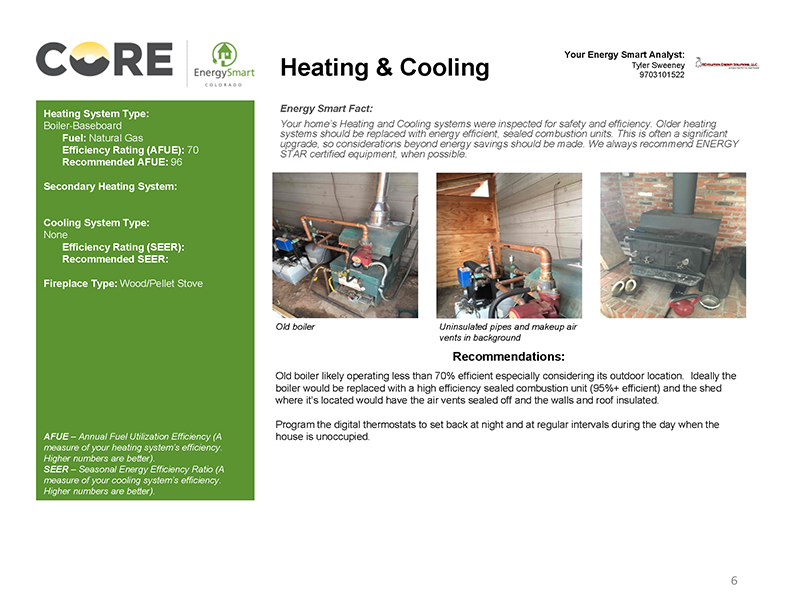 An Energy Advisor will follow up with you to review your report and to provide information on available rebates for your recommended upgrades. 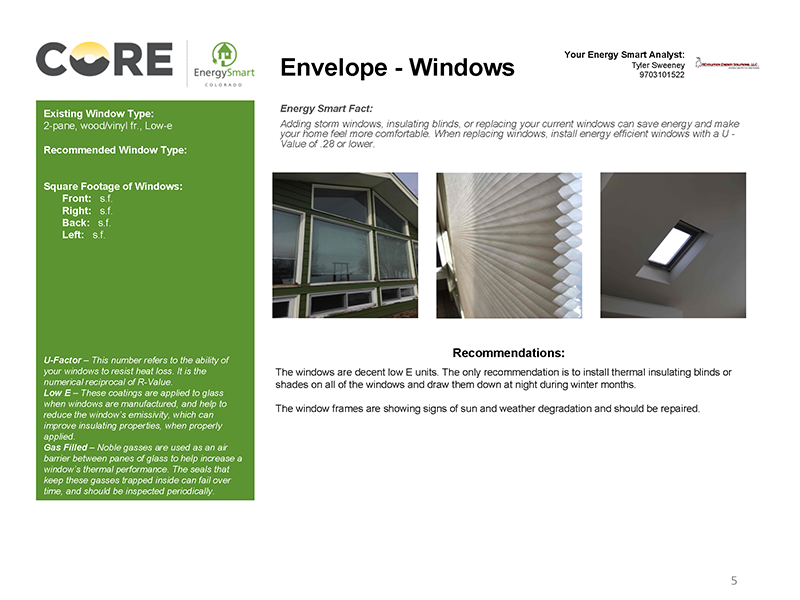 Your Energy Advisor will supply a list of local contractors that are qualified to complete many of the recommended energy improvements as detailed in your comprehensive report.